Nantucket (the Wampanoag word for “faraway land”) was originally inhabited by the Wampanoag Indians who lived there until 1641. At that time the English deeded the island to Thomas Mayhew and merchants from Watertown and Martha’s Vineyard. Thomas Mayhew in turn sold his interest to “nine original purchasers” – Tristram Coffin, Thomas Macy, Christopher Hussey, Richard Swayne, Thomas Bernard, Peter Coffin, Stephen Greenleafe, John Swayne and William Pike – for the sum of thirty pounds and also two beaver hats–one for him and one for his wife. Nantucket was the Whaling Capital of the World from 1800-1840 and then in 1880 turned to tourism as her major source of income. Below are some sites you can see around the island today. 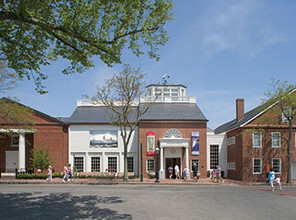 The Whaling Museum on Nantucket has many artifacts from Nantucket’s whaling days such as longboats, harpoons, scrimshaw and pictures of whaling captains. It also has a skeleton of a 46-foot sperm whale suspended from the ceiling and an observation deck overlooking Nantucket Harbor on the roof. 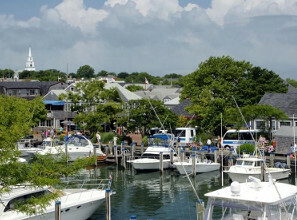 The Nantucket Boat Basin is a marina with moorings for small boats and yachts in Nantucket Harbor. There are many shops and restaurants along the wharfs in the Basin for people to enjoy. 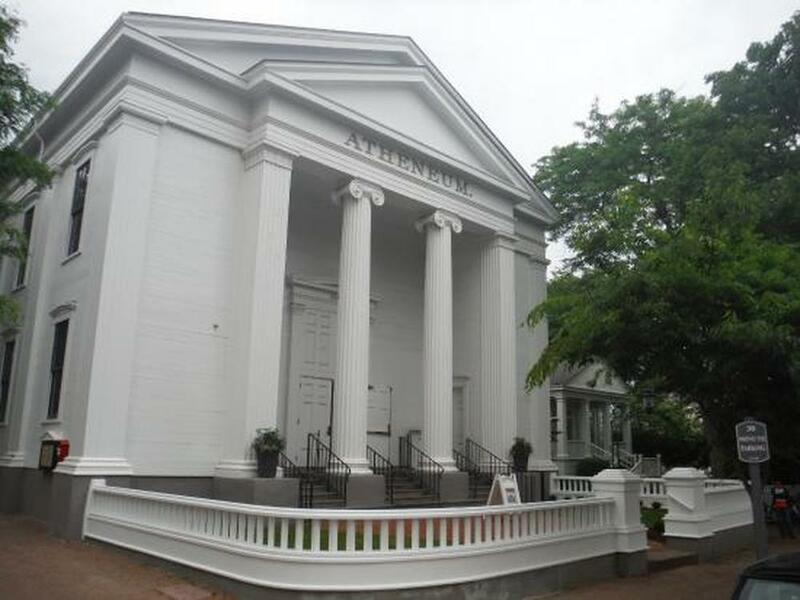 The Nantucket Atheneum is the main public library on Nantucket and one of the oldest libraries in the United States. It has many old books and documents pertaining to New England and Nantucket history, and also many artifacts like figureheads and statues from old whaling ships and old paintings on the walls. The library has books for adults and children and offers lectures, classes, children’s events and a summer dance festival.